CECELIA MISSES THE POINT BY NINETY TWO NAMES AND NEEDS MORE THAN A PEDALO AND A COUPLE OF FREE-LOADERS TO GET BACK ON TRACK. A list of one hundred names is found in the files of a dead journalist, no one knows why the list has been compiled and none of the people on the list knows why they are on it or what connects them to each other. It’s up to a down on their luck investigative journalist to discover the truth, is it something sinister? The only person who knows is the daughter of a disgraced politician. Sound like the plot for a highly charged thriller? If Grisham, Patterson or one of the new batch of rising Swedish writers had gone to their publishers with it, they’d be biting their hands off to get it completed and published. 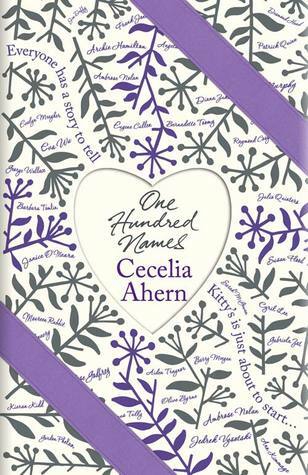 But it’s not as it seems, the only part that’s true of the above is the daughter of a disgraced Irish politician, yep it’s the synopsis of Cecilia Ahern’s latest book One Hundred Names. Kitty Logan’s best friend, boss and mentor Constance Dubois, is in the final throes of her battle against cancer. When she asks her protégé to find a list in her office and tell their story. What kitty finds is a list of one hundred names and that’s it, no clue as to what the story is or why Constance had kept these names. But Kitty also has her own problems, she’s just been fired from her job on the national TV station in Ireland after she wrongfully accused a school teacher of having an affair, now someone’s targeting her flat with dog pooh and graffiti, which isn’t making her long term rental prospects look promising. On top of that her boyfriend has moved out and she’s getting it in the ear from her friends and being used and abused by other so called friends. As for the list she can only get a small number of them to talk to her and they each have very differing stories and backgrounds. There’s an elderly lady cast aside by her family who plans to claim a bet placed years ago, a young woman who’s a carer for her invalided mother while also offering makeovers to the terminally ill. Then there’s a ex-con who thinks he hears peoples prayers, a woman who runs a butterfly farm but is too shy to accept an invite to address a group of fellow Lepidopterists from around the world, a couple who are forever blagging free meals and drinks by pretending to propose to each other as well as a two of immigrants who want to get into the Guinness book of records for being the fastest two men in a pedalo. Eventually this ragtag bunch and kitty head off on a mad cap road trip. While all along Kitty’s editor on the monthly magazine that Constance ran is pressurizing her with a deadline, to write these stories as a tribute piece to her late friend. Can she do it? I have to hand it to Cecelia; she’s gone from strength to strength since writing P.S. I Love you in 2004. Followed up with a movie deal and a reasonably successful American sitcom, as well as the subsequent eight other books she’s written. All along she’s tried to avoid the moniker of “Chic Lit” Author. But with this outing it is nothing more then a jog down a well worn “Chic-lit” path. The title it’s self is misleading as she never even goes near one hundred names, eight is the most. So why she didn’t call it ten names – fifty names. In my view I think she bit off more than she could chew but her editor thought ah, 100 sounds interesting. Yes it does, but at least have Kitty interact with half the names on the list. As for the stories of the eight, they’re plausible to an extent. I couldn’t see any self respecting immigrant or native for that matter trying to break a 100m pedalo dash for the Guinness book of records. 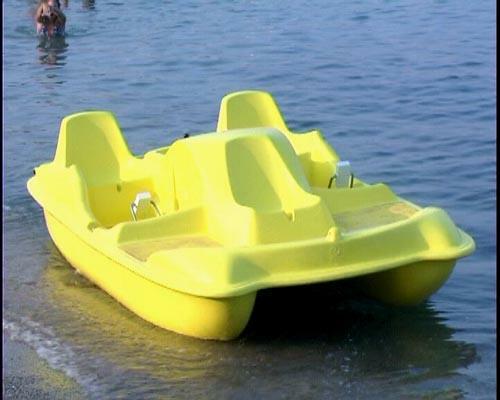 Okay so people do some strange things to get mentioned in the fabled book, but a pedalo dash. Then there’s the couple who go around different bars and restaurants faking grandiose proposals to gain free meals and drinks. this would irritate me in real life and did so in the book. Okay so their story is all about the girl in the partnership who longs for the proposal to be real for once, but they just came across as shallow. 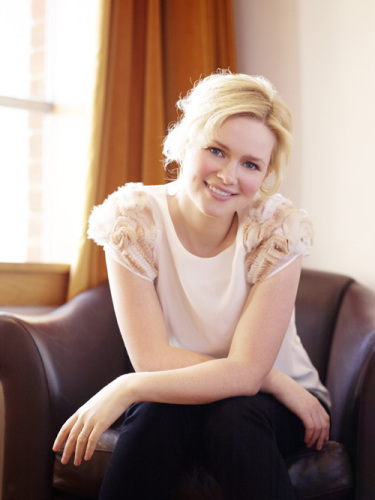 As I write, Film adaptations of two of her other books have just finished shooting in Ireland, I love Rosie – based on her novel Where Rainbows End and Romantic Road an original TV script. I hope to god they’ve made a better interpretation of Where rainbows end then they did of P.S. I Love You. So if you’re an ardent fan of Cecelia, then anything I say is not going to dissuade you from parting with your cash for this book, otherwise take my advice go read or watch John Buchan’s The Thirty Nine Steps , Jules Verne’s Around The World in 80 Days or The Forty Five Guardsmen by Dumas.